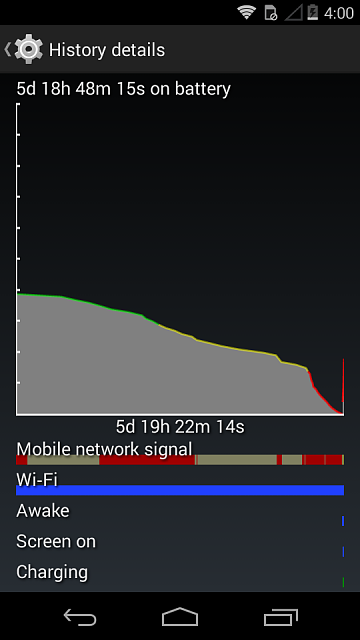 I just got a new phone (Moto E, for backup), and noticed that the phone's battery history shows that it has been on battery for 5 days and 18 hours. Is this normal for a new phone? When you charge your phone, do you charge up to 100%? I'm not sure, but maybe the counter doesn't reset unless you get to 100%. I'll have to check next time on my phone.